Could 2019 be the last “Fishmas”? For many decades, the last Saturday in April has been the day that the State of California’s trout fishing season opened in the Eastern Sierra. It is an unofficial holiday, where traditionally thousands of visitors arrive to help kick off the season, looking forward to the Summer. Local merchants have anticipated the Trout Opener each year as a busy tourist weekend, helping to sustain their businesses until the peak season of July and August, when folks enjoy their summer vacations. That tradition may be coming to an end. Read more about Could 2019 be the last “Fishmas”? Mark your calendar for April 27, 2013. That is when Trout season opens in the Eastern Sierra. 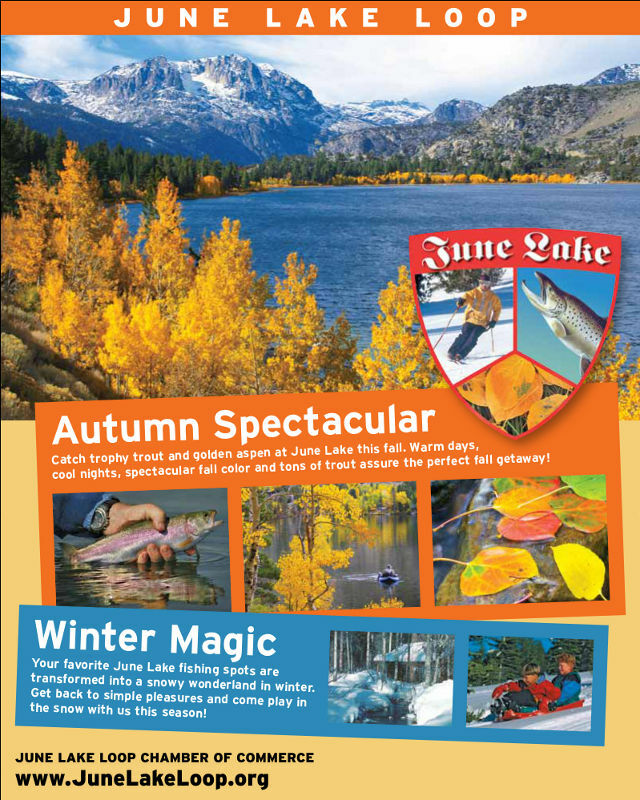 The June Lake Loop has been a prime destination for trout fishing for nearly 100 years! We look forward to welcoming fishermen back to enjoy the beauty of the Loop, and the warm, friendly atmosphere you will experience here. The Annual Monster Trout contest is a tradition in which you may receive prizes for your catch, in a variety of categories. The June Lake Loop's annual Monster Trout Contest on opening day of 2010 trout season was well-attended as usual, with award-winning fish and a celebration of the season opener. Once again the opening of Trout Season on the last Saturday in April will bring throngs of anglers to the entire Eastern Sierra. 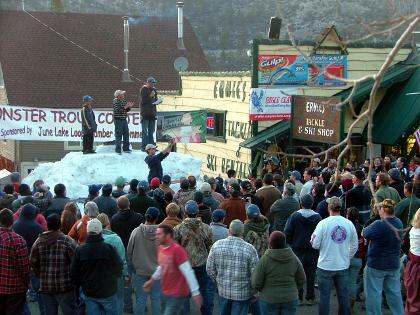 Here in the June Lake Loop the Monster Trout Contest has been part of the celebration for many decades, and this year will be no exception. This year's prizes will be awarded in "June Bucks," which may be redeemed just like cash at participating June Lake Loop merchants and businesses (almost anywhere in town)! The June Lake Triathlon will once again be held this July. 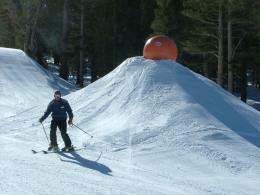 For more information visit the High Sierra Triathlon Club website. Results of past June Lake Triathlon events are available at buzz productions race results section. While fewer of our nearby fishing waters are participating each year in the annualTroutstock Eastern Sierra,on Labor Day Weekend, the event is now confined to "South Mono County." 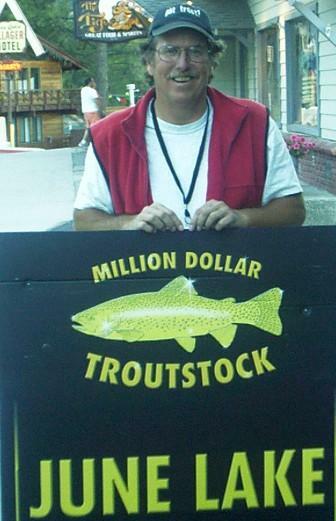 The June Lake Loop continues to support Troutstock this season. Pictured at left is Patrick Gale, Troutstock Top Dog of 2006.